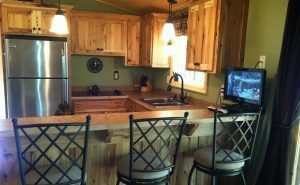 Update cabin kitchen with cabin style and materials. 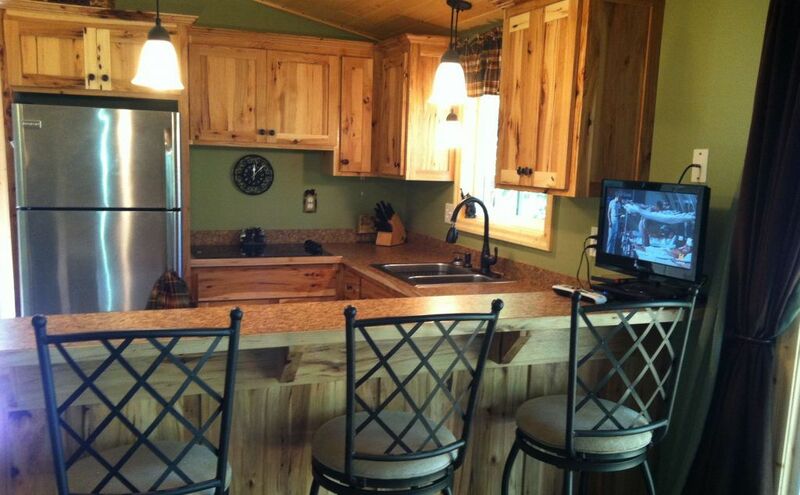 When you think of a cabin and getting away from it all you don’t usually think of a white antiseptic style kitchen. 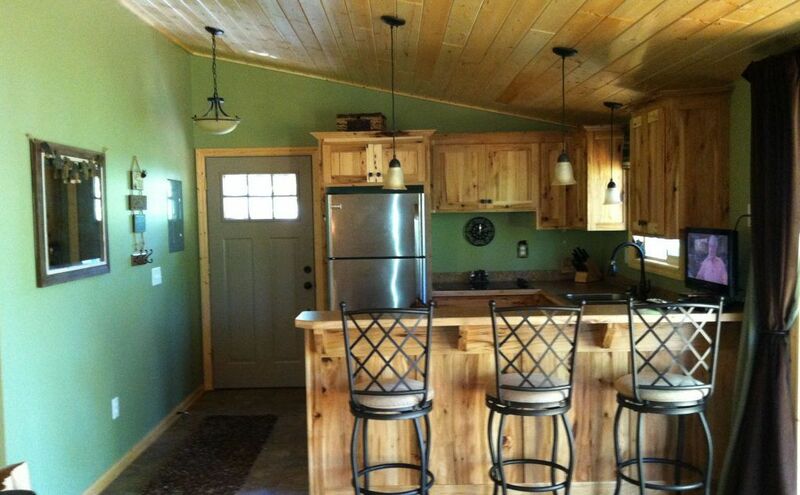 You think of warm natural colors and natural materials. The kitchen before remodeling was not very inviting, had a poor layout, was constructed with low-quality materials and less than desirable craftsmanship. 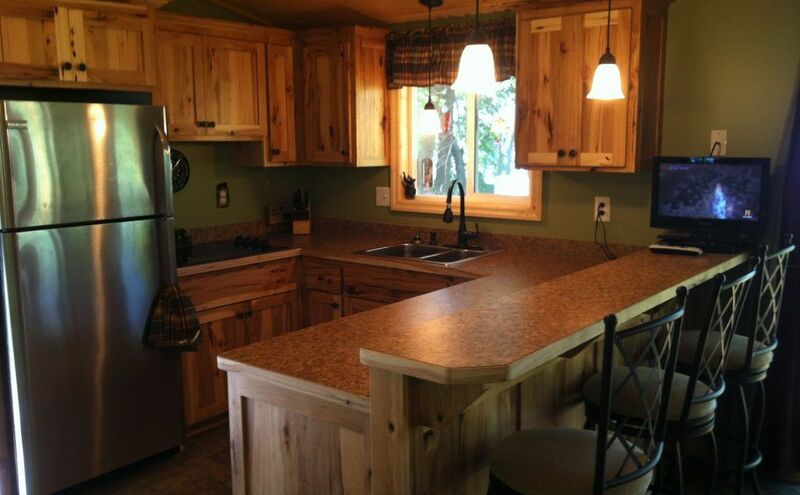 The new kitchen is more conducive to traditional cabin styles. The cabinets are custom built from rustic hickory and include full extension drawer glides and soft close hinges. We added some pendant lighting over the peninsula and a knotty pine ceiling. 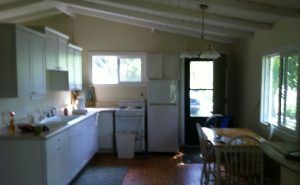 We also relocated the door and window to make the kitchen and entry more functional.